L'OBJECTIU D'AQUEST BLOC ÉS QUE TOTHOM, PARES, MARES, AMICS, FAMILIARS... PUGUIN VEURE TOT EL QUE FEM A L'ESCOLA I QUE TAMBÉ HI PUGUIN PARTICIPAR. 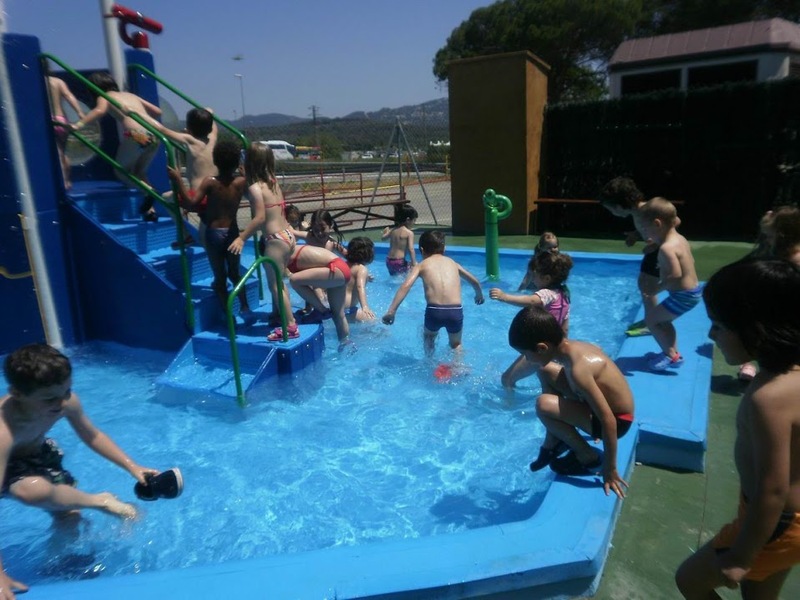 LA MÍRIAM I LA MAITE US DESITGEM A TOTS I TOTES MOLT BONES VACANCES I QUE GAUDIU MOLT DE JUGAR, BANYAR-VOS A LA PLATJA, LA PISCINA... I SOBRETOT QUE SEMPRE TINGUEU UN SOMRIURE I SIGUEU FELIÇOS!! EL NOSTRE COMPANY SANDRO DELS CONILLS MARXA A VIURE A UNA ALTRE CIUTAT I PER TANT ANIRÀ A UNA ALTRE ESCOLA!! MOLTA SORT PER AQUESTA NOVA ETAPA! T'ESTIMEM!! AQUÍ ET DEIXEM UN PETIT RECORD DE LA TEVA ESTADA AMB NOSATRES A L'ESCOLA! ELS ALUMNES D'INFANTIL VAM ANAR EL DARRER DIA AL GRETTY PER ACOMIADAR EL CURS. ENS HO VAM PASSAR MOLT I MOLT BÉ!! DURANT AQUEST CURS LA CLASSE DELS CONILLS HEM TINGUT TRES ALUMNES EN PRÀCTIQUES, UNA ALUMNE ALEMANYA, LA YUNA, L'AROA I LA NATÀLIA. US PENGEM UNES FOTOS DE QUAN VAM ACOMIADAR L'AROA I LA NATÀLIA! ELS NENS I NENES DE P3, P4 I P5 VAM ANAR AL GNOMO PARK I HO VAM PASSAR D'ALLÒ MÉS BÉ!! A LA WEB DE L'ESCOLA EN TENIU LES IMATGES!! AMB ELS PARES DE LA LUCIA VAM FER PIRULETES DE XOCOLATA DE COLORS I LES VAM DECORAR. DESPRÉS LA COSINA DE LA LUCIA ENS VA FER DOS BALLS MOLT XULOS I ENS VA ENSENYAR A BALLAR EN GANGAM STYLE. LA MARE DE LA JANA ENS VA PORTAR CONILLETS NANS, ELS VAM VEURE, OBSERVAR, TOCAR... DESPRÉS VAM PINTAR UNA MÀSCARA DE CONILL I VAM BRENAR! Segueix les novetats del bloc per correu electrònic!